Our vision is to create economically, environmentally and socially sustainable woody biomass supply chains that contribute to a low carbon economy. Currently, in the European bioenergy sector, we see a broad spectrum of biomass sustainability criteria, product quality standards and sustainability certifications, such as Forest Stewardship Council (FSC), Programme for the Endorsement of Forest Certification (PEFC) and Sustainable Biomass Program (SBP). 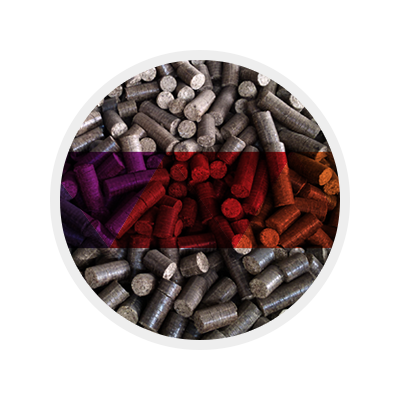 Various types of biomass are used for the production of bioenergy through many types and sizes of economic operations. The characteristics of bioenergy production, therefore, are heterogeneous and depend on several factors, such as geography, climate, level of development, institutions, and technologies. It is fundamental to us that the biomass waste we use meets the highest sustainability standards as set by the governments in end-user markets in the UK, The Netherlands, and Belgium.